Guess what my dear readers? I am so excited to tell you that I got a new iPad Air this past week! Although I have not spent “enough” time discovering this awesome tablet (i.e., how much is enough when you get a new gadget?! ), I wanted to share some of my thoughts about it. 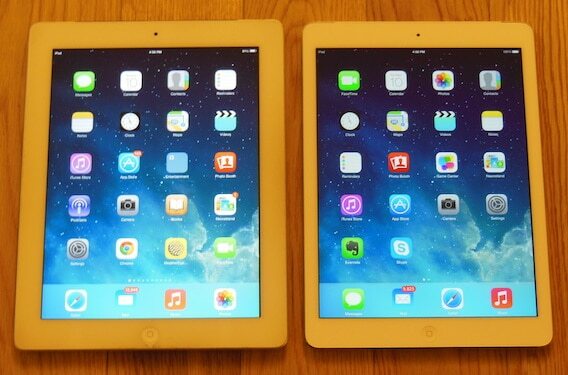 First of all, the new iPad Air feels really, really light especially when I compare it to my “old” iPad 2. The new tablet is easy to hold and I already spent a bit of time reading, exchanging emails and watching one or two videos on it. I’m not sure how much you can appreciate from the picture below, but the new tablet is also very thin. I love the new screen. Okay, maybe the comparison is not fair in this case because the iPad 2 did not have a Retina display but what a difference in the colours and the sharpness!!! 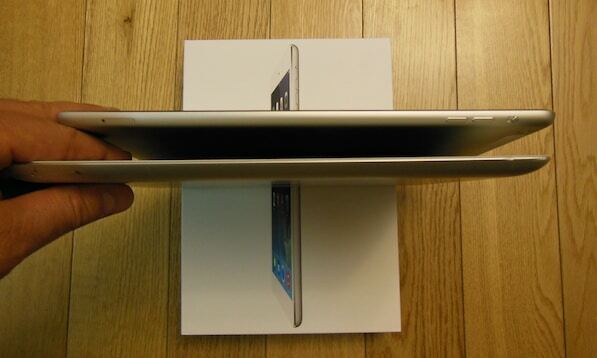 The iPad Air’s new design is based on the iPad mini. What this means is that you get more “screen” and less frame. I have no clue how they manage to squeeze in so much functionality and capabilities into such a small space but all I can say is that I am very impressed and it feels great to hold an Air in your hands. The iPad Air is also much faster. I compared opening the same Apps on the two tablets (Air vs 2) and the iPad Air is noticeably faster. Internet browsing and App downloading is also faster using Wi-Fi on the Air. I updated my cellular data plan to use it with the new tablet. The download speed difference is tremendous when compared with the iPad 2. The main difference is that now I can use LTE (Long Term Evolution) with the data plan which loads data much faster than the regular 3G. Importantly, the iPad 2 did not support LTE. Yes, with the new iPad Air, Apple gives you several interesting Apps for FREE! iPhoto, iMovie, Pages, Numbers, Keynote and GarageBand are free when you buy a new iPad. These Apps seriously boost your entertainment and productivity when using your tablet, providing savings of more or less $45 (compared to current price on the App Store). Pages is a word processor, Keynote is a presentation application and Numbers is a spreadsheet program. GarageBand lets you touch instruments and create music on your iPad, all from Apple. 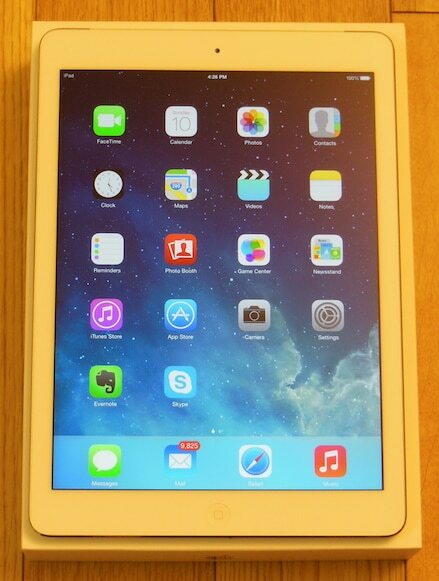 I am very excited with the new iPad Air! I look forward to writing many new interesting articles and to sharing them with you, my readers. Did you get an iPad Air? How do you like it? Do you have any questions about the latest tablet version of the iPad?